Every parent watches their child to make sure everything is okay. Sometimes our gut tells us something is not right, that there may be learning disabilities, behavior problems or mental health challenges. But how do we know for sure? If there are challenges, what do we do? Mighty Parenting podcast hosts, Judy Davis and Sandy Fowler, discuss these questions with parenting expert Ann Douglas. They go over signs to look for that may indicate a learning disability or mental health challenge. 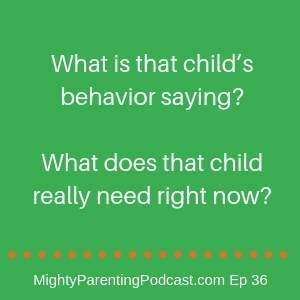 They discuss behavior problems and what they can indicate. They dig into the what and why but also address the emotions; what our kids are dealing with and the stress this can put on parents and families. What is that child’s behavior trying to say? What does that child really need right now? How do we know if our child is dealing with an emotional or behavioral health issue? Your parent radar may alert you to the idea that your child is having bigger struggles than other kids. You notice the frequency of behavioral eruptions at home, calls from the school, etc. You have a sense your child is struggling more; sleep, food, behavioral issues, etc. Parent shaming and judgement can put us on the defensive and make us feel like it’s us against the school or other professionals who could help. We need to educate people and seek out those who will really support us on our journey. People make assumptions about what’s happening with kids based on their behavior without understanding any emotional or behavioral health issues that may exist. What is that child’s behavior trying to say? What does that child really need right now? If you can get to the underlying motivation, it no longer seems like a child randomly acting out trying to drive the adults in the room over the top or pushing people’s buttons. That child may be reacting out of a place of fear, or feeling like they need some support or help that nobody has been able to pick up on. No child will act out to that degree just for fun. It’s exhausting and they’re getting negative feedback from everybody, so what does that child need to begin to make things better? At the same time, look at the parent behind that child who is frustrated, tired, or afraid. Their life is in chaos, so how can you spark conversations that bring support and collaboration? If you suspect there may be a problem, turn to the professionals to help you figure out what’s going on. Go talk to your family doctor or tap into behavioral health services and tell them what’s happening: This is what we’re observing at home. This is what the teacher is observing at school. These are the concerns. Should we be doing some kind of evaluation? What could the next steps be? If you suspect your child may have issues, go on a data-gathering mission. And keep all the information in a binder; observations, past medical evaluations, insurance, etc. There’s something amazing that happens when you get into a place of curiosity and start gathering data about what’s happening—you realize that you are the world’s leading expert on your child. All these clinicians are experts in their field, but you can bring invaluable information to the table along with them. This can be really stressful, and we truly need to take care of ourselves. When one or more people in a family are having a really hard time, the whole family system can be thrown out of whack and the family can develop dysfunctional behaviors. Family counseling can help us learn to get out of unhealthy patterns. Fear often guides our parenting when we are dealing with emotional, behavioral, or mental health issues. Our kids need healthy, committed, and connected parents. Young adults do well when provided with age-appropriate support; parents being there for them behind the scenes—not doing for them but supporting them. Ann Douglas is an award-winning parenting writer and the mother of four children who have struggled with a variety of psychological problems—and are currently thriving. 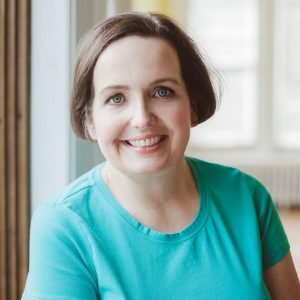 She speaks widely at health, parenting, and education conferences and hosts online conversations about parenting and mental health for a range of organizations. With acclaimed books including The Mother of All Parenting Books and The Mother of All Baby Books, Ann has helped hundreds of thousands of parents navigate the challenges and complexities of raising kids today. She lives with her husband and their youngest child in Peterborough, Ontario.